Like Ida in the film, Love Is All You Need, lemons are my favourite fruit and like her, I really can’t imagine the world without them either. (This film, along with A Good Year, is one of my guilty pleasures and both are perfect for this time of year when the days are short and dank and the nights are long and chilly). Let’s face it, lemons are so useful. Equally at home in savoury or sweet dishes and even in the odd cocktail (G&T anyone?). Or there is the healthier option – add a squeeze of lemon juice to a cup of hot water for a great way to start the day. 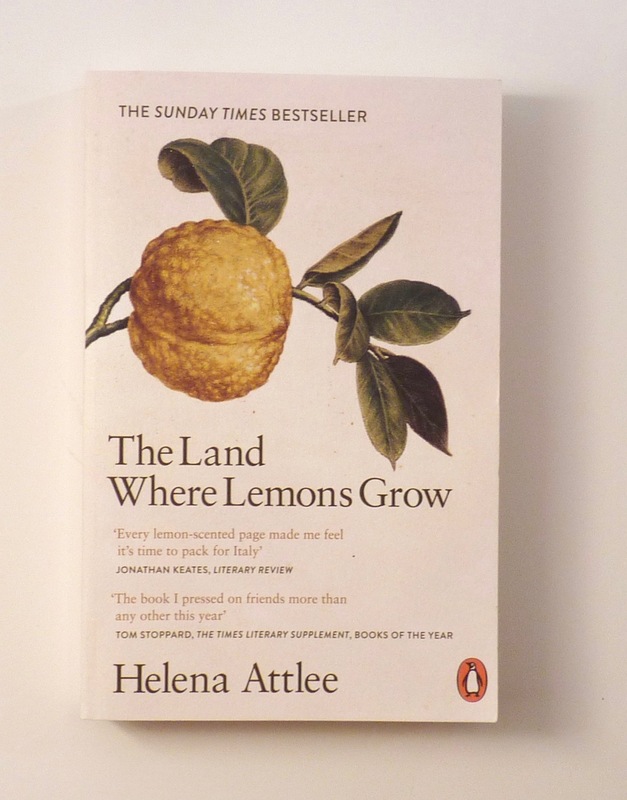 One of my Christmas presents was this fabulous book by Helena Attlee. Part history, part travelogue, part horticultural guide, this book covers the history of citrus fruits in Italy. Written in a gentle, conversational style you will find yourself effortlessly learning about all things citrus whilst longing to pack your bags for a holiday in the sun. I had been reading the chapter on bergamot and wishing for smell-a-vision. The next day I came across these gems in the supermarket. Yes, these golden orbs are real bergamot fruits from Italy. 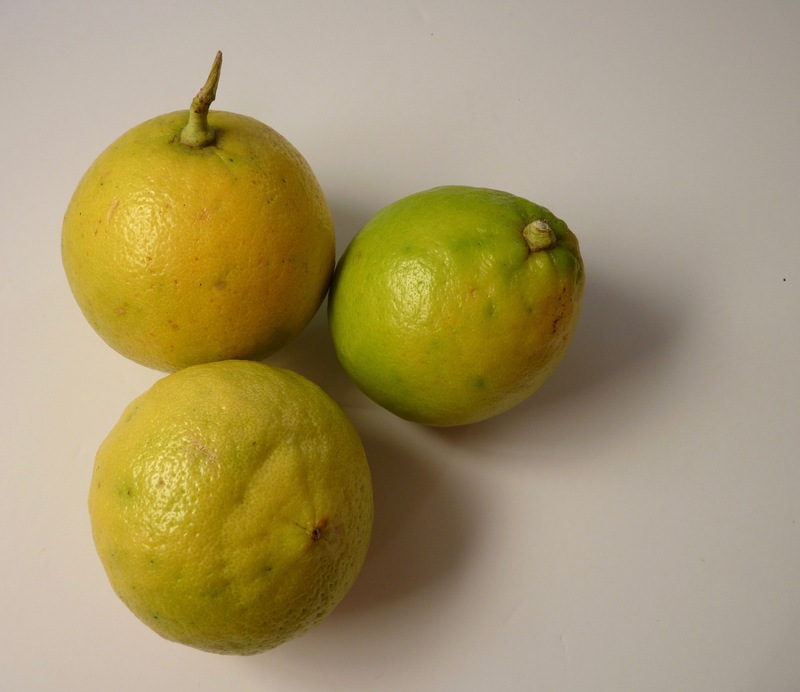 Bergamot is the outcome of a natural cross between a lemon and a sour orange and the best are grown in Calabria. Bergamot can be used in many ways. The essential oil is a staple in the perfumery industry and is also used to flavour Earl Grey tea, giving it that distinctive scent. Of course Bergamot fruits can be used in cooking however I chose to make marmalade with mine. A quick search of the internet found a number of bloggers who had shared recipes for bergamot marmalade . David Leibovitz has a recipe for bergamot marmalade. He includes some handy tips such as “don’t use a food processor, as that will make the marmalade muddy”. Advice that I ignored entirely (sorry, David) and he is quite right. Using a food processor does result in muddy marmalade (I had no choice having cut my strips a little too thick). But who cares? It still tastes great. Giulia Scarpaleggia writing as Jul’s Kitchen also has a recipe for bergamot marmalade, based on David’s recipe, along with more information about Helena’s book. However it was Victoria’s recipe from Bois de Jasmine that I used. Victoria is a trained perfume specialist which is how I first came across her blog – searching for information about a particular perfume. I followed Victoria’s recipe faithfully although I didn’t bother blanching the fruits first. I was also saved the trouble of putting the seeds into a muslin bag as there was not one seed in my fruits (is that normal?) and I used the food processor. Next time I’ll take the time to chop the rinds more finely before cooking. 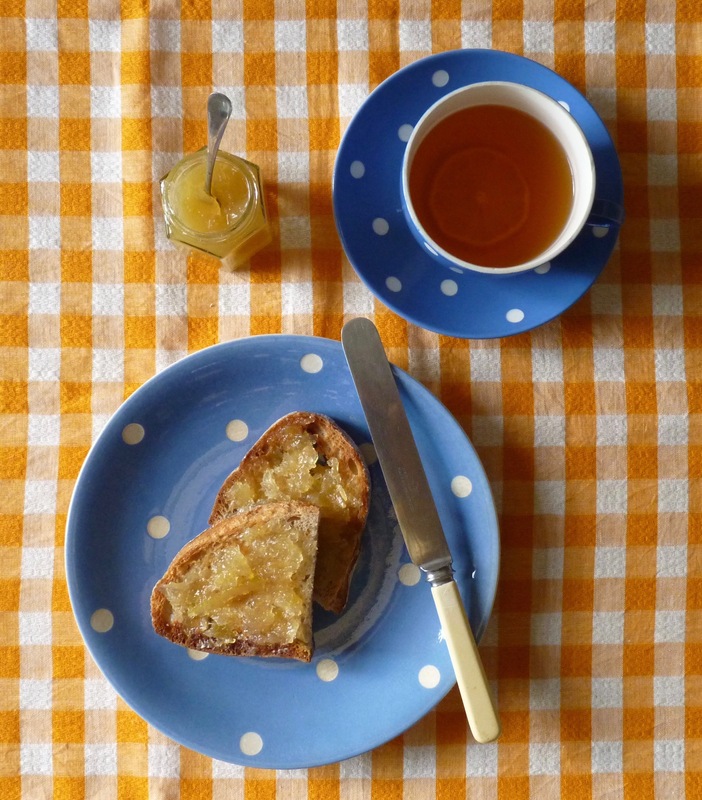 The citrus flavour really livens up a piece of delicious sour dough bread toast. However it is quite unlike any other citrus marmalade having what some have described as a floral or incense-like aroma. To me, it smells of heaven and tastes divine. It is sunshine in a jar and the perfect antidote to the grey, cold weather of mid-January. Definitely banishes those winter blues and will have you dreaming of sun-drenched beaches on the Amalfi coast.